Directly opposite Luohu Port and Luohu Railway Station, Best Western Felicity Hotel offers rooms with cable TV and free internet access. It features an outdoor pool, fitness centre and 5 dining options. Each air-conditioned room at the Best Western Shenzhen Hotel has a radio alarm clock and refrigerator. Tea / coffee making facilities and room service are provided Wellness facilities at the Best Western Felicity include a spa and steam room. Massage services offer relaxation. 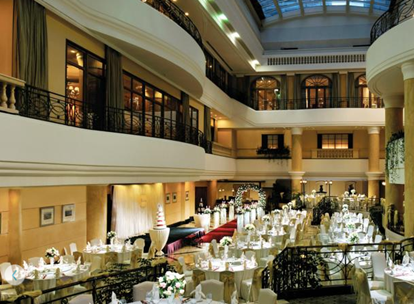 The Atrium Café offers a western buffet and Lok Moon Restaurant serves Cantonese cuisine. Guests can also unwind at the Fairy Land Nightclub. Best Western Shenzhen Felicity Hotel is a 10-minute subway ride from Huaqiangbei business area and Dongmen Pedestrian Street. Shenzhen Convention Centre is a 15-minute drive away. Shangri-La Hotel Shenzhen is located in Luohu District, a 5-minute walk from the Hong Kong border, Shenzhen Railway Station and Luohu subway station. The hotel offers free internet access and an outdoor pool. Beautifully decorated in pleasant neutral shades, spacious rooms come with contemporary décor, a minibar and a safe. The ample bathrooms feature designer bath amenities. 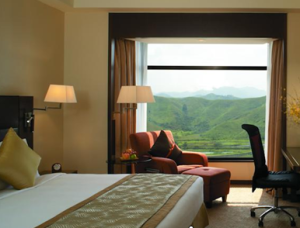 Select rooms feature DVD players and great views of Hong Kong’s New Territory or Shenzhen skyline. The hotel provides a modern fitness centre, a hot tub, and steam rooms for guests’ enjoyment. They can indulge in relaxing massages or visit the shopping arcade and the beauty salon. The elegant Grand Ballroom can hold 1,500 guests. There are also 7 luxurious multifunctional meeting rooms on site. 360º Bar, Restaurant & Lounge serves Western cuisine with views of Shenzhen skyline. Other dining options include Cantonese cuisine at Shang Palace, American food at Champs Bar & Grill and international cuisine at Coffee Garden. Shangri-La Hotel is 300 metres from Luohu Commercial City, 2.4 km from Luohu Commercial Center or Shenzhen King Glory Plaza, 2.9 km from MixC Shopping Mall and 3 km from Dong Men Pedestrian Street. Bao’an International Airport is about 45 minutes’ drive away. Ideally located in the business centre of Luohu District, the gorgeous Grand Hyatt Shenzhen offers luxurious accommodation with free Wi-Fi throughout the property. It is just a 4-minute walk from Grand Theatre metro station and a 5-minute drive from Luohu Port. Grand Hyatt Shenzhen is just a 2 minute walk from Shenzhen Wanxiang City and a 20-minute walk from Dongmen Pedestrian Street. Shenzhen Bao’an International Airport is a 40-minute drive away. Featuring floor-to-ceiling windows, all rooms offer an iPod docking station, a LCD TV and a minibar. They all come with free wired internet and ample bathroom with a bathtub and shower facilities. Steak and seafood can be enjoyed at Belle-Vue, with table side cooking, while buffet spreads are served at The Show Kitchen. For a fulfilling Chinese meal, enjoy the food at 1881 restaurant. Other dining options include delicious Italian food at La Terrazza, Cantonese cuisine at China lodge and homemade chocolates and refreshments at Sugar Box. To rejuvenate, guests can unwind in the outdoor pool, work out at the gym, or enjoysoothing spa treatments. Sauna facilities, babysitting services and a business centerare also available for guests’ convenience. Greeting guests with a grand marble lobby, the luxurious Crowne Plaza Hotel & Suits Landmark Shenzhen is just 3 minutes’ walk from Guomao Metro Station (Line 1, Exit B). Both indoor and outdoor pools, a gym and free Wi-Fi are available. Spacious and modern, the air-conditioned rooms are equipped with a flat-screen TV, DVD player and a well-stocked minibar. Some rooms have private butler services and a seating area. En suite bathrooms come with either a shower or bathtub. Crowne Plaza Hotel & Suites Landmark Shenzhen is within a 5-minute walk from Jingguanghua Plaza and Dongmen. A free shuttle bus goes to Luohu Train Station, a 5-minute drive away. It is a 40-minute drive from Shenzhen Bao’an Airport. Guests can relax with a body massage, or visit the beauty salon. Day trips and car rentals can be arranged at the tour desk. 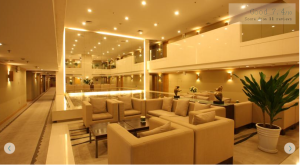 The hotel also provides a full-service business centre and free parking. Prego serves authentic Italian dishes, while Fortune Court offers a wide selection of Cantonese dishes. Buffet breakfast, lunch and dinner can be enjoyed at Brew House. 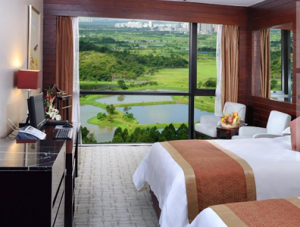 Panglin Hotel located in the central area of Shenzhen, a 5-minute walk from Guomao Subway Station (Luobao Line). The 5-star property boasts a fitness centre, an indoor pool and 7 dining options. Free Wi-Fi in public area is provided. Panglin Hotel is a 5-minute drive from Lo Wu order and Man Kam To Control Point, 3 km from Shenzhen Luohu Railway Station. Shenzhen Bao’an International Airport is 60 km away. Tastefully decorated, the elegant guestrooms feature warm lighting and modern interiors. Each unit is fitted with a satellite TV, minibar and an en suite bathroom with a shower. Baby-sitting service is available. Guests can enjoy soothing massage treatment and relax in the hot tub. Car rental service is provided. Designed by a famous Australian architect, Hotel Kapok Shenzhen offers luxurious nd beautiful accommodation in the bustling Luohu District, a 10-minute walk from Luohu Commercial Centre. 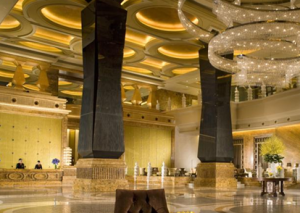 Graceful swirling staircases, contemporary décor and modern art displays add to the charm of this design hotel. Free Wi-Fi is available in the entire property. 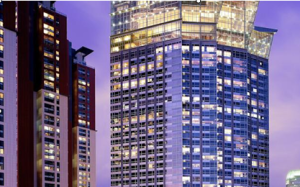 Kapok Shenzhen is a 5-minute walk from Wanxiangcheng Shopping Mall and a 10-minute stroll from Shennanzhong Commercial Area, Shenzhen Luohu Railway Station and Luohu Port. Grand Theater subway station is a 15-minute walk away, a 10-minute drive from Dongmen Pedestrian Street, Hua Qiang Bei Commercial Street and King Glory Plaza. Futian convention centre is a 20-minute drive away, while Bao’an Airport is a 40-minute drive away. Spacious and bright, the chic rooms are fitted with pastel colours, free wired interne, a seating area and a flat-screen TV with cable channels. They also include an iron, a minibar and a safety deposit box. The ample bathrooms include free toiletries, bathrobes and rain showers. Guests can work out at the gym, rent a car to explore the surroundings, or spend some quiet reading time in the library. Added conveniences include meeting rooms, currency exchange and a business centre. Xiao Nan Yang Chinese Restaurant on site offers Chinese buffet breakfast and delicious North-eastern Chinese cuisine. 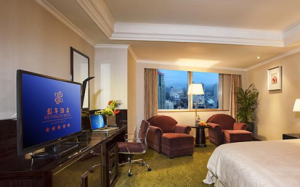 The luxurious Sheraton Shenzhen Futian Hotel offers 5-star accommodation in the heart of Shenzhen’s Central Business District. It boasts 4 dining options, 2 swimming pools and a variety of recreational facilities. Elegant rooms feature stylish modern interiors with dark wood furnishings. Each well-appointed room is equipped with a flat-screen TV, sofa seating area and private bathroom with a bathtub. Guests can exercise at the gym, play a game of tennis, or simply relax in the sauna. This non-smoking hotel also provides currency exchange and car rental services. The award-winning Mezzo restaurant serves a variety of Italian dishes, while Asian and Western specialities are offered at The Exchange. Alternative dining choices include fresh coffee at Afterwardsz and light snacks at Havana Bar. 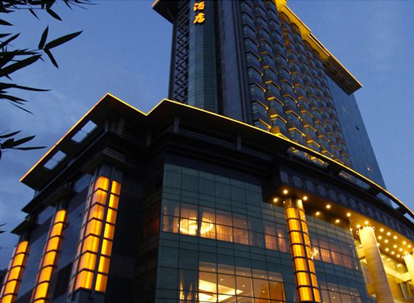 Shenzhen Sheraton is a 3-minute walk from Central Walk Shopping Mall and a 5-minute walk from the Exhibition Centre. Shenzhen Bao’an International Airport is a 30-minute drive away. 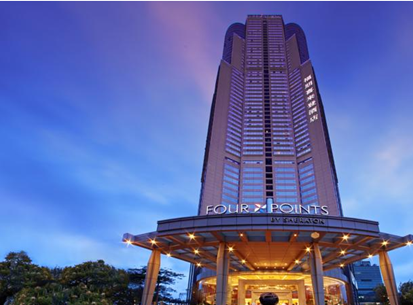 Four Points by Sheraton Shenzhen is a 10-minute walk from Lok Ma Chau Port, Huanggang and Futian Border Crossing, and a 10-minute drive from Shenzhen Exhibition Centre. The stylish property offers an outdoor pool, a spa and a fitness centre and 5 dining options. Free parking is provided on site. Modern guest rooms are fully air conditioned and come with a private bathroom. Amenities include a work desk, tea/coffee making facilities and a flat-screen TV with satellite channels. Guests can enjoy a variety of massage and beauty treatment at the on site spa. Laundry and dry cleaning services are offered. Western dishes can be enjoyed at the Taste Restaurant, while local delights can be found at the China Spice Chinese Restaurant. The Grill & Bar offers delightful Western dishes. The lobby lounge offers drinks and light snacks. Shenzhen Four Points by Sheraton is a 10-minute drive from the central business district and 20-minute drive from Window of the World. Shenzhen Bao’an International Airport is a 30-minute drive. Hong Kong Airport is a 1-hour, 30-minute car journey away. 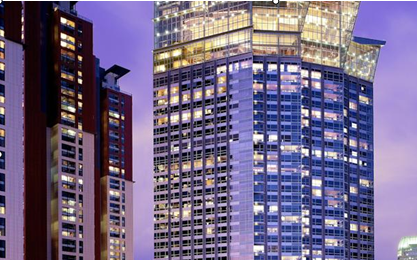 Asta Hotel is located in Shenzhen’s commercial centre, a 15-minute walk from Convention and Exhibition Centre. It offers 3 dining options, free parking and rooms with free wired internet. Shenzhen Railway Station is 5 km away and Huanggang Port is 1 km away. Air-conditioned guest rooms are fitted with tea/coffee making facilities, a work desk and a flat-screen TV with cable channels. The en suite bathroom comes with toiletries and a hairdryer. The staff at the tour desk can assist with making travel arrangements and car hire services. Laundry and dry cleaning services are offered. Luggage storage can be found at the 24-hour front desk. FuDingXuan restaurant serves a selection of traditional Chinese food. Teppanyaki grill and French food can be found at Mirazur Restaurant. Guests can enjoy drinks and light snacks at Ming Lounge. 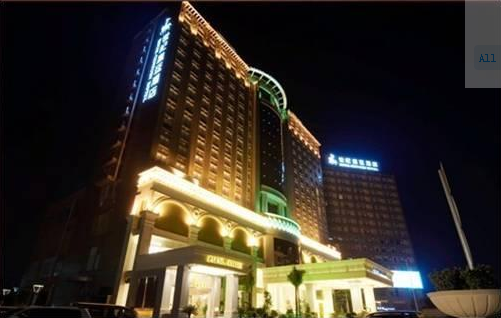 Hotel Asta is 5 km from Dongmen Pedestrian Street. Shenzhen Bao’an International Airport is 32 km from the hotel. Shenzhen Royal Century Hotel-Business is a 1-hour drive from Shenzhen Baoan International Airport. It features a library, Karaoke facilities and elegant rooms with free Wi-Fi. It takes 30 minutes by subway from the hotel to the tourist attraction Window of the World and 10 minutes walk to the Mumianwan Subway Station. Free parking is available. The hotel offers a fitness centre and massage. Guests can rent cars and bicycles at the 24-hour front desk. Shoe shine and ironing services are also available. Modern decorated rooms in Royal Century feature a minibar, a safety deposit box and a tea/coffee maker. The bathrooms come with either a bathtub or shower facilities. Free toiletries, slippers and bathrobes are available. There is a buffet restaurant on the first floor of the hotel.